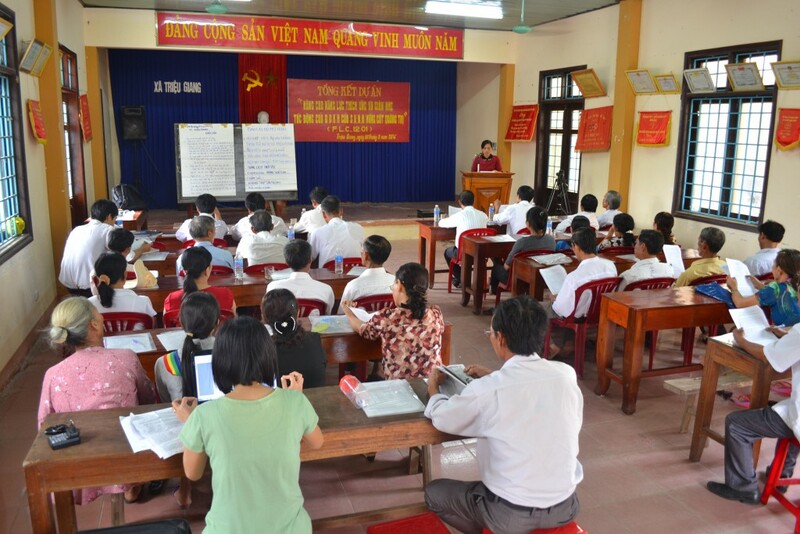 From 26 to 27 August, the closing conferences of the project were held at the People’s Committee Halls of 03 communes of Trieu Van, Trieu Giang and Hai Que in Trieu Phong and Hai Lang Districts, Quang Tri Province. The objectives of the conference were to review and reassess the implemented activities on Enhancing capacity for climate change adaptation and mitigation for communities in Quang Tri province. Besides, the conference focused on reconsidering the replication of successful models in the 1st phase and the study of new models as well as the support of market connecting to ensure sustainable agriculture. 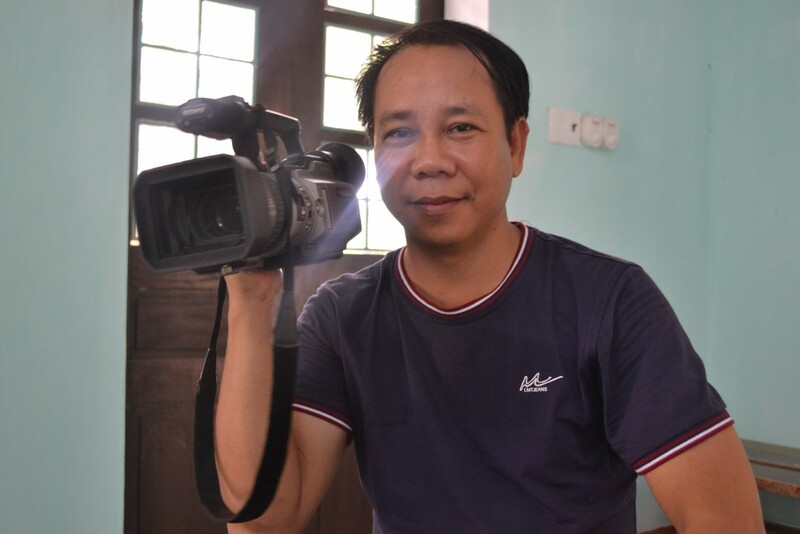 Attended the conference were the representatives of local authorities in communes and districts, households who were good producers, and of the Centre for Rural Development in Central Vietnam. Some central and local press agencies also attended and broadcast news. Representatives of Trieu Giang Commune expressing their desire to continue having projects on climate change adaptation. 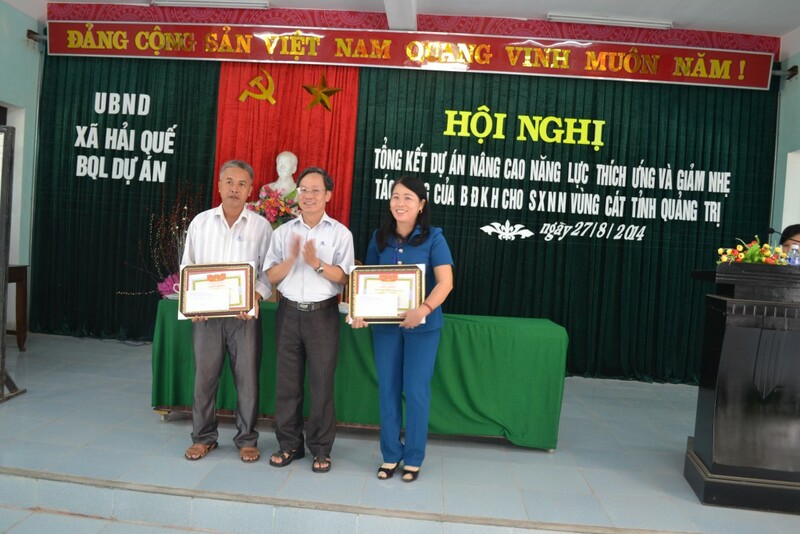 At the conference, the local authorities reported the positive changes in the localities through the trainings on Scientific and technical transfer of rice planting, chicken growing, green black beans planting; local onion, chilli, and peanut planting for farmers held by the project. It was noticeable that the livelihood models such as the model of planting rice on sandy land invested on and supported by the project has brought about high productivity. Some models of safety-oriented and decease-managed chicken growing towards the market applying VIETGAP have been replicated. The model of Biogas cellars towards greenhouse gas emissions reduction and environment improvement has been being supported. The models of peanuts and green black beans planting have grown well in extreme drought conditions. In condition, the activity of label buildings for local onions, green black beans and chili in 3 project communes has also been a success. Thereby, the local leaders and people also expressed their acknowledgement and attachment to the project during 04 years’ implementation as well as their hope that the Embassy of Finland would continue their support further in the next time. 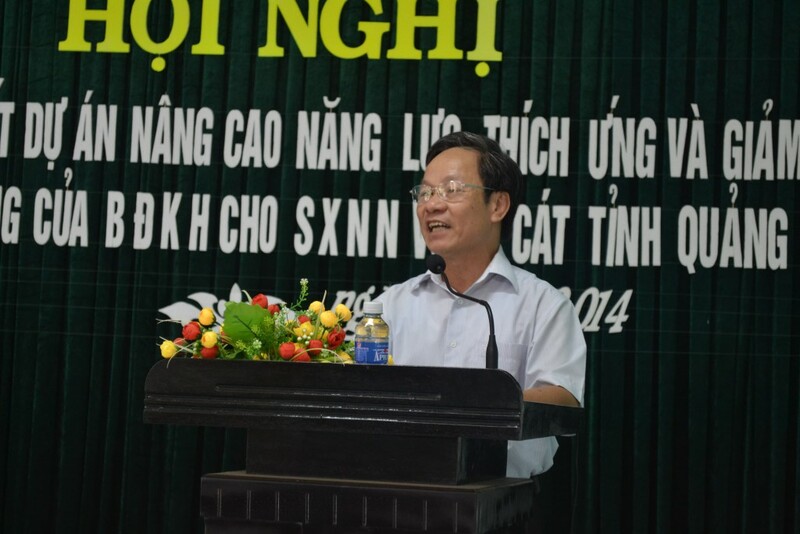 Mr. Hoang Manh Quan, Director of CRD spoke at the closing conference of the FLC -12- 01 project in Hai Que commune.